Pictured (l-to-r): Doleco USA’s Tom Haughs, vice president of sales and Bob Abrahamson, west coast account manager. Hauppauge, N.Y. – Doleco USA, a North American supplier of cargo restraint systems including winch and ratchet strap assemblies, lifting slings and other related products for the transportation, agriculture and industrial markets, has added two new sales management professionals to its team. 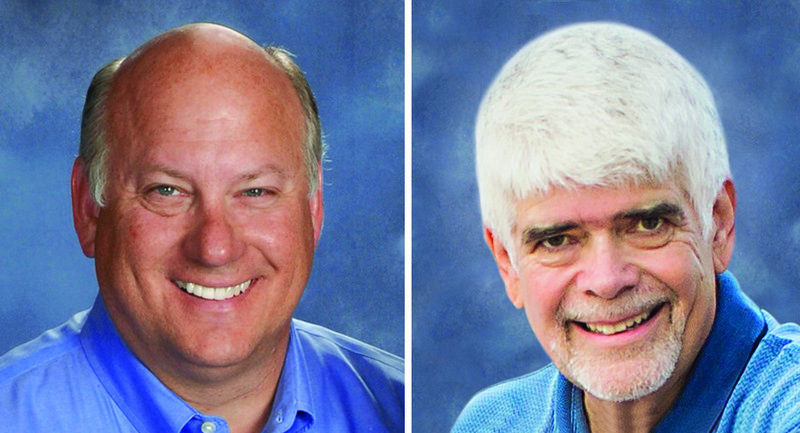 Tom Haughs has joined the company as vice president of sales and Bob Abrahamson is the company’s new west coast account manager. Doleco USA is a 2-year-old subsidiary of Dolezych GMBH, an 82-year-old German-based global supplier of lifting and load securement technologies. “The U.S. market offers great potential for expanding our reach and this move underlines our commitment to becoming a major player here,” said Ralph Abato, president of Doleco USA. “Our new sales team members, Tom Haughs and Bob Abrahamson, bring a wealth of experience and knowledge of the North American market to help us enhance our client base,” Abato said. Abrahamson brings more than 40 years of industry experience to his role, including 17 years of service for a trailer manufacturer where he developed an in-depth understanding of the customer side of the business. „We have a great team in place with Ralph Abato as our president who has more than 32 years of industry experience. Together, we bring more than 100-plus years of skills and experience to help meet our clients’ load securement and lifting needs,” said Abrahamson. Doleco USA products are available in the United States, Canada and Mexico through the company’s master distributor network which includes over 6,000 distribution centers. The company is also looking to expand warehouse operations in the near future. For information on sales and distribution of Doleco USA products call 203-440-1940, visit www.doleco-usa.com or email sales@doleco-usa.com. Incorporated in 2013 in Hauppauge, N.Y., with its warehouse located in Meriden, Conn. Doleco USA is one of the fastest growing load securement and lifting suppliers in the U.S. Doleco USA’s success has come from offering a quality, full line of products through proven distribution channels to provide an alternative to over-distributed brands. With a global brand and extensive local experience, the company sees tremendous growth and opportunity in traditional markets. Learn more at www.doleco-usa.com. Founded in 1935 in Dortmund, Germany, Dolezych is a leading manufacturer and supplier of lifting equipment, slings, ropes and load securing technologies. Dolezych offers secure and reliable solutions for the lifting and transportation of goods – whether on-site in production plants, on construction sites or by transportation via road, rail, sea and air cargo. In addition to its most recent expansion in the USA, Dolezych also has operations in Poland, Switzerland, China, Chile, Ukraine, Russia, and Turkey with more than 600 employees worldwide.